James Bond has managed to bed fifty-five women in all his twenty-three film outings. 55. Possibly more. All that sheet-sleuthing catches up to you, hence an interesting prescription found on set of the next Bond flick, SPECTRE. When EMPIRE Magazine visited the set of the film back in March they stumbled upon some interesting set decoration. Lea Seydoux’s character Madeleine Swann plays a doctor or shrink at the Hoffler Klinik (actually the ICE Q restaurant in the Alps of Solden, Austria), and her desk contains some serious doctor-patient-privilege information on the World’s favorite spy: a prescription for Vicodin, Xanax... and Viagra. You can purchase the latest issue of EMPIRE Magazine here. While I am confident this will not play into the film, I can’t help but applaud the set decorator for having a sense of humor. Post your favorite fitting innuendo from a Bond film below. Hat tip to MI6 HQ for the magazine clip. 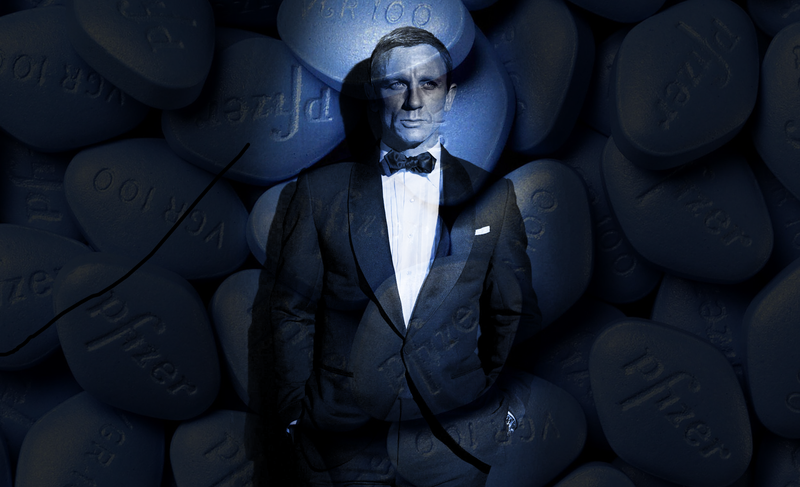 Follow BeyondJamesBond.kinja.com for everything James Bond related.. and beyond. Check out our Instagram account, too.